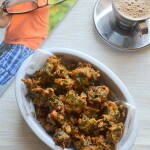 Bread Bajji is an easy tea time snack that can be made in a jiffy. I mostly end up making this recipe when I have extra/leftover bread. With no fancy ingredients this can be made at anytime as it calls for some very basic ingredients that’s normally available in your pantry. 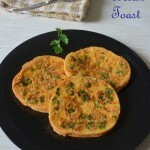 If u are bored of eating the normal vegetable bajji’s try this bread bajji for a change. Am sure kids would grab this immediately!! 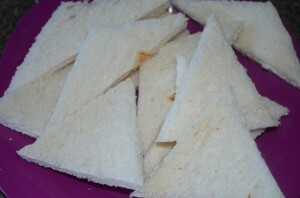 Take bread slices & trim the edges. 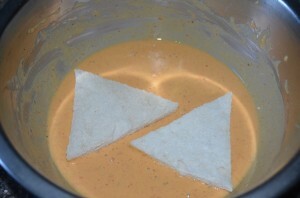 Cut them into triangle shaped pieces. 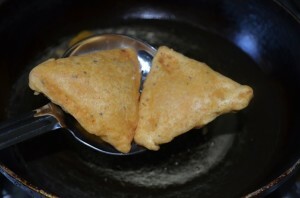 In a bowl take besan, rice flour, salt, chilli powder, ajwain, chaat masala powder, baking soda and add little water to make a thick batter. 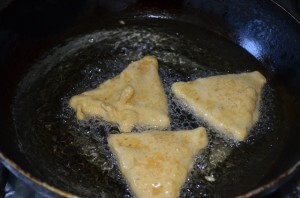 The batter should be thick enough to coat the bread slices.Heat a pan with oil enough to deep fry. 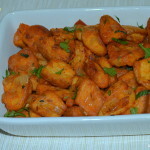 Dip the bread slices in the bajji batter so that it coats evenly on all sides. Drop the coated bread slices immediately in hot oil. 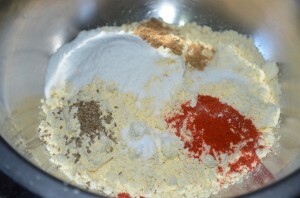 Fry on both sides until golden brown in medium flame. Drain it in paper towels. Bread Bajji is ready. Is it not super-quick?? Serve hot along with coffee/tea. 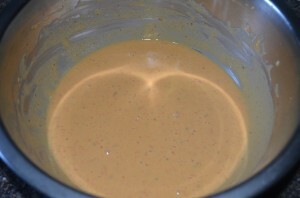 Batter should neither be very thick or very watery. Ensure its thick enough to coat the bread slices. 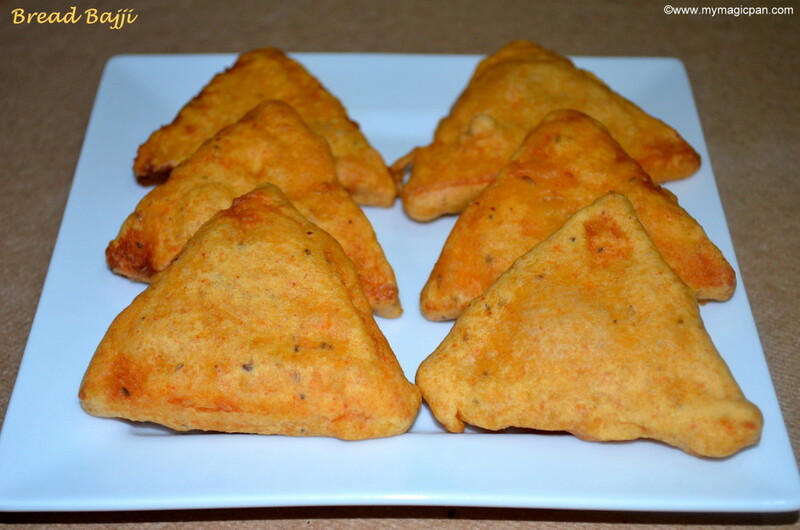 Baking soda gives fluffy bread bajji’s. U can skip this too. Oil should be hot when u drop the bread bajji, else it will absorb a lot of oil. Also after dropping them, fry in medium flame to ensure even cooking. 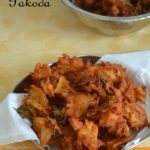 Fantastic evening snacks, love to munch some rite now. Crispy and tasty stir fry !! 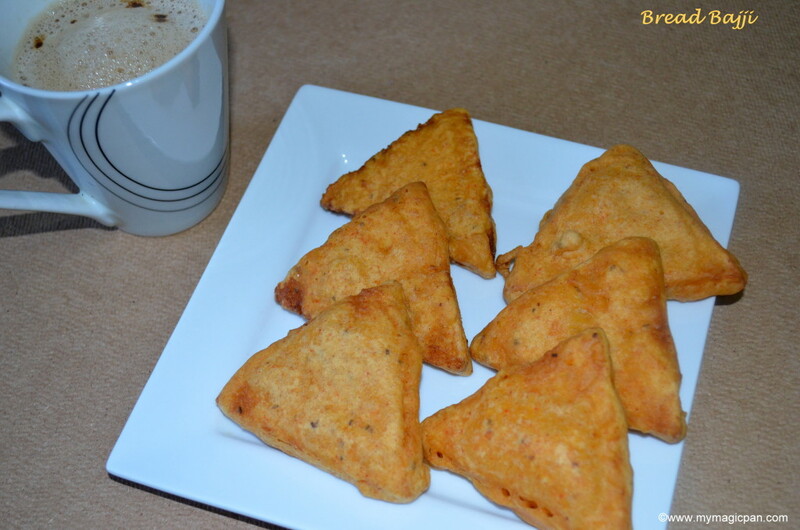 perfect with cup of coffee… a great evening snack..